Autumn colors are way behind. A mild Fall (we still haven’t seen a killing frost) has undoubtedly delayed the show. You can see the difference here. Last year, fall foliage peaked before October. This year, Peak is occurring now. (See a full progression here). How convenient to coincide with Columbus Day Weekend. 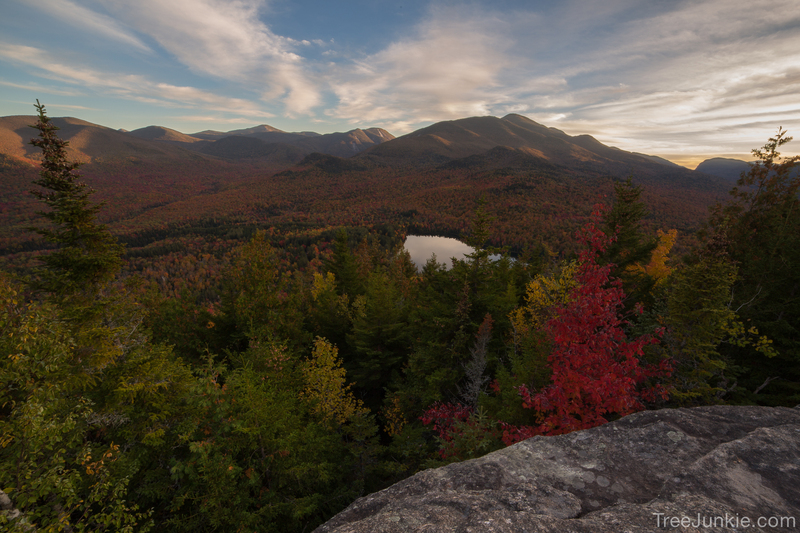 If you plan to visit the Adirondacks, the time is now! I’ m so glad we got to see some of these fine specimens. Lovely shot.